Lt Cdr Eugene Esmonde DSO leads his heroic flight of six Swordfish against the might of the German Navy and Air Force during the Channel Dash, 12th February 1942. 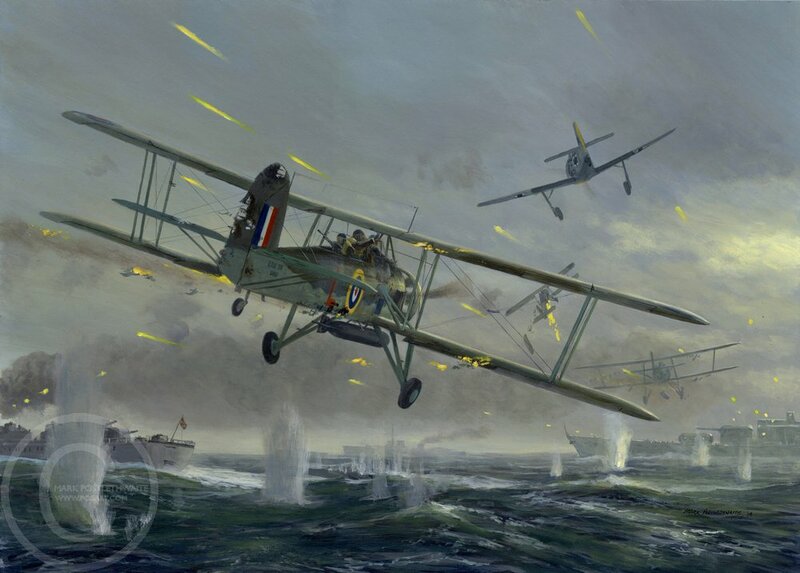 All six Swordfish were shot down and Esmonde was awarded a posthumous Victoria Cross. Only five of the 18 airmen survived.